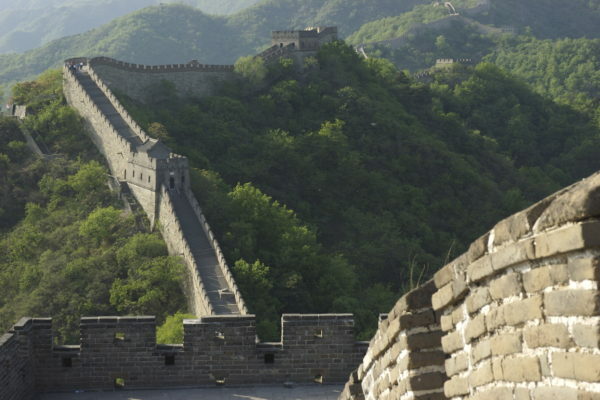 During lectures about marriage, I have used this photo of the Great Wall of China to illustrate Gottman’s fourth horseman of the apocalypse: Stonewalling. When we were in China a few years ago, we had the good fortune to see this magnificent stone wall when there were no other people around. It helped that our driver got hopelessly lost, and we ended up going several hours out of our way. But happily, we ended up at this stretch of the Great Wall that was not on the typical tourist path. Walking up the steep steps gave me a view of the entire countryside, but scaling a partner’s emotional wall isn’t that easy. I reflected on why we put up walls and how these walls get maintained over the years. Walls are built for protection—to keep others out—and to keep control. In marriage, partners who have trouble with emotional self-regulation get overwhelmed emotionally, but also physiologically, even if they’re unaware of the raised heart rate and adrenaline that are making them feel literally attacked. That’s why they put up walls. Emotionally checking out of the conversation creates the illusion of safety. Ignoring the difficult discussion, looking or turning away, or even leaving the room, puts the overwhelmed person back in control, but doesn’t solve anything. Learning to be aware of uncomfortable feelings, then how to self-soothe and maintain composure, helps partners stay in a heated conversation and also to listen and respond. That way, the discussion can move ahead without getting gridlocked. A good technique for self-soothing to manage anxiety is Mindfulness-Based Relaxation Training, something I often recommend to clients who want to stop stonewalling. Learning this form of meditation is very useful in helping stay in control, calmly, without having to create a distancing wall—even when discussing the most upsetting topics.